I did it! I published (rather uploaded) my SoFoBoMo 2011 book earlier on August 5 – a few days earlier than my deadline. You can get it from here (for free): Sofobomo 2011 book -478 – After Sunset. I have a total of 38 photos in this book. There are a few photos I am extremely happy with – which I think are keepers for my long-term portfolio. Over the course of the month, the idea for the project changed from taking photos at twilight – to taking photos just after sunset> I just couldn\’t get up and be at the beach much before dawn. Also, since i hadn\’t scouted most of the beaches before, stumbling around in the dark before dawn did not seem such a great option. As I had planned, I did find some poetry to go along with the pictures – which I was very keen on. The thought behind the poetry was – give the viewer a break from the visual with some relevant text. Maybe with more time, I could have found more / better poetry. A takeaway from this for me – is to read more poetry for future projects. As I wanted to, I used Scribus for publishing the pdf. The learning curve was alright – not too steep. This is a piece of software which I will be using a lot more in the days to come. Coming in my next post – a compendium of resources which helped me publish my book. I hope to compile a list of resources on Scribus, ebook publishing, editing, and also the settings I used for the ebook and possibly the scribus template. And I promise – this post won\’t take forever in the posting. I hope all of you who read this post will download the book, and it will be awesome if you can drop me a comment here on how you found the book, what you liked and what you didn\’t. Here is the link again:Sofobomo book- 478- After Sunset (And it is a free download!). Update on 10/14/2011: Alas SoFoBoMo is closing. Looks like 2011 was the last year. Now you can download books directly from here (rather than through the SoFoBoMo website). Ebook: After Sunset – SoFoBoMo 2011, by Suprada on Flickr. 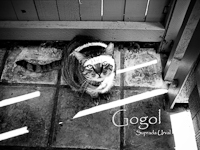 I am very happy to release my first ever e-book: Gogol. This is an ebook of photographs of my buddy. You can download it by right-clicking the below thumbnail and selecting \”Save File as” or \”Save link as\”. You can also do so in the freebies section of my website. Be warned, it is a large file (about 8MB). It is in pdf format and you will need to install the free Adobe reader to view it. You can download the Adobe Reader from here – http://get.adobe.com/reader/. I was supposed to make this ebook as a part of SOFOBOMO 2009. However I could not keep up the rules: 30 day deadline (this book took 40 days) and 35 photos (It has 27 photos). Alas, I\’m a sofobomo failure. However, I intend to participate next year, meet the deadline and come up with better work. I will talk more about this book, the experience, what I learnt and some tutorials in the next few blog posts next week. Meanwhile, please share this book with friends and family as you see fit. It would be absolutely awesome if you would leave some comments, critiques, suggestions for improvement on this book.